Over the weekend, Ruth Langsford become the seventh celebrity to leave Strictly Come Dancing, leaving her fellow celeb dancers and the nation gutted. The presenter had delighted audiences with her moves on the Strictly ballroom over the weeks – and despite sometimes receiving not so brilliant scores from the judges, she and professional partner Anton Du Beke always left viewers smiling. But following her foxtrot on Saturday’s show, Ruth was forced to face up to the dance-off with Paralympian Jonnie Peacock – and sadly lost out on the chance to go to the much-talked-about Blackpool round. Live on It Takes Two with her partner Anton, Ruth confessed that she wasn’t particularly surprised to be eliminated – and sadly, that she was almost expecting it. She told Zoe Ball, “I’m very disappointed not to get to Blackpool, mostly for Anton. “I’d love to have done a ballroom dance at the Tower Ballroom… but it wasn’t to be. But although she was booted off before the popular Blackpool week, it seems Ruth is just happy to have taken part in the show at all. “I’m so thrilled to have even got this far. I didn’t think I’d get past week two or three. This man is the most wonderful teacher. We did laugh a lot. But he’s so patient. 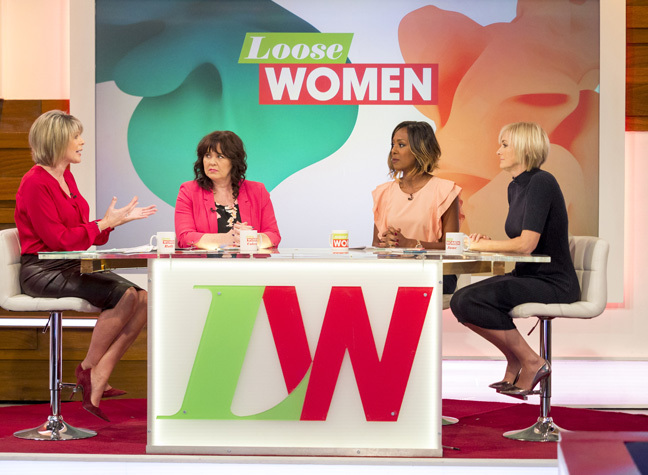 Ruth also discussed her exit from the show live on Loose Women, and took the time to acknowledge how tough she’d found the training. Discussing her Strictly journey with her fellow Loose ladies, she said, “You see me coming in every day and (say) ‘How are you getting on?’ and I said, ‘I cried all day yesterday’. She also admitted that her mistake in the dance-off on Sunday night may have cost her her place in the show. However, despite all the difficulties, she remained as positive as ever, and concluded that she definitely doesn’t regret taking part in the BBC show. We’ll miss you on the show Ruth!